These genuine carbon fiber reinforced plastic extended shift paddles are whole units, not stick on extensions that tend to fall off or never quite sit properly. These entire shift paddle units replace the shift paddles in your TTRS and R8 flat-bottom steering wheel only. *Note these will only work with R8 and TTRS flat-bottom steering wheels. These will not work with any other steering wheels. 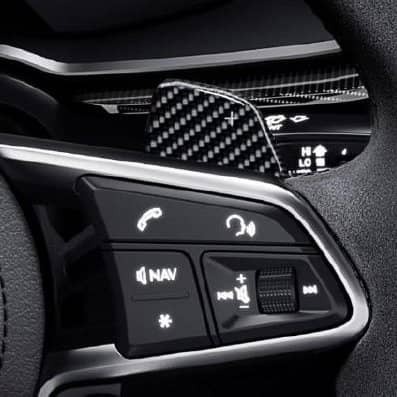 *Note these are only shift paddles, not an entire steering wheel package.